I'm using the implicit OAuth flow for our native iPad app. We're calling the standard URLs in a UIWebView. 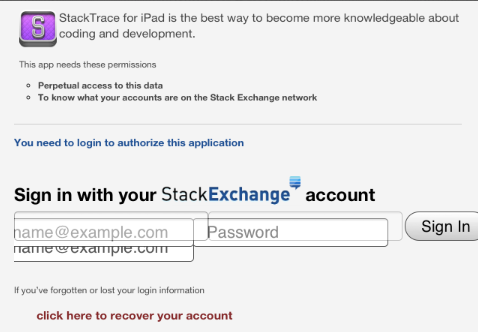 The Stack Exchange login renders with several UI glitches. I've confirmed just opening the dialog URL on mobile Safari for iPad it also renders this way. Browse other questions tagged bug status-completed api-v2 obsolete oauth2 .